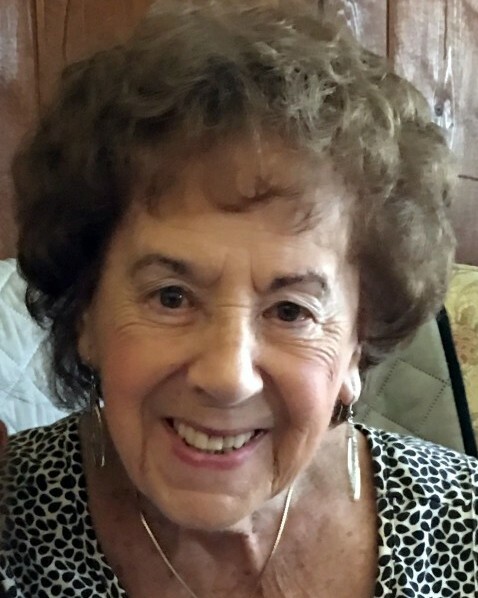 Jane Almeida, 97, of Milford, the loving wife of Seraphine (Sal) Almeida, entered into eternal rest on Friday, February 8, 2019 at Milford Hospital following a brief illness. Born on August 3, 1921 in St. Chrysostome, Quebec, Canada, she was the daughter of the late Odilon and Melanie Beaudry. Jane grew up on a farm in Vermont which inspired her hobbies of fishing, gardening and arts and crafts, especially oil painting. She spent many of her later years doing volunteer work with Sal at Milford Hospital and the Milford Senior Center. She was a devoted Catholic and member of Christ the Redeemer Church in Milford, CT. In addition to her husband of 40 years, Sal, she is survived by her loving children, Michael Benoit and wife Karen and Douglas Benoit and wife Guadalupe; her grandchildren Michael and wife Rebecca, Kara DeSousa and husband Tony, Kimberly Benoit and Alejandra Soliz; her great-grandchildren Emma and Paisley Benoit; and numerous nieces and nephews. She was pre-deceased by her first husband, Gerard Benoit, and her five sisters and three brothers. The family would like to extend a special thanks to the staff of Milford Hospital for showing compassion and taking great care of Jane. A Mass of Christian Burial will be celebrated on Tuesday, February 12, 2019, at 11 a.m. at Christ the Redeemer Church, 325 Oronoque Rd., Milford, CT 06461. Interment will follow at Saint Mary Cemetery, Buckingham Ave., Milford. Friends and family may call that morning from 9 a.m. to 10 a.m. at the CODY-WHITE FUNERAL HOME, 107 Broad St., Milford, CT 06460.